Each year an estimated 10,000 people in the US and Canada will be diagnosed with hydrocephalus, a life-threatening and debilitating condition for which there is no cure. Many of these people are children. Left untreated, hydrocephalus can cause permanent brain damage, disability, and death. 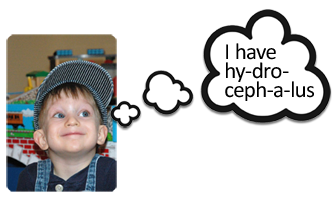 Most experts agree hydrocephalus occurs when the normal flow of cerebrospinal fluid (CSF), a natural fluid produced inside the brain, somehow gets restricted. This restriction results in increased pressure on a patient’s brain tissue. The mission of the Hydrocephalus Clinical Research Network is to dramatically improve the lives of kids suffering from hydrocephalus by conducting important and field-changing, multi-center clinical research. Our vision is that, in 5 to 10 years, doctors will use HCRN research-based evidence to improve the diagnosis, treatment and outcomes of hydrocephalus patients and that these patients will live longer, more trouble-free lives than they do at present. Over that same timeframe, we envision greater attention and financial resources directed toward hydrocephalus research and treatment. We just completed our Fall 2018 investigator meeting in Park City, Utah with a new format. Rather than our typical review of all studies proposed or in progress, we focused on Post Hemorrhagic Hydrocephalus (PHH). PHH from prematurity is one of the most common causes of pediatric hydrocephalus and has been the focus of a number of studies in HCRN since our founding in 2006. This year we invited a few clinical researchers who have been studying the role of different timing and techniques for intervening after an intraventricular hemorrhage (IVH) where the neonate is at high risk for developing PHH. Our guests included Kristian Aquilina, MD, a pediatric neurosurgeon from Great Ormand Street Hospital for Children in London, UK, Lara Leijser, MD, a developmental pediatrician and neonatologist from University of Alberta in Calgary, Canada, Lynh Ly MD, a neonatologist from SickKids in Toronto, Canada and Joshua Shimony, MD, a neuroradiologist from St. Louis Children’s Hospital. On day two, groups continued their discussions and then summarized their recommendations to the group. The recommendations included two pilot studies on the timing and type of interventions to reduce incidence of PHH and a standardized protocol for imaging and measurements in the preemie IVH population. The meeting format was a success is producing significant new study development for the network that could significantly change outcomes in this vulnerable population. Understanding the epidemiology and outcomes of ETV.